Shir ha-Shirim Zutta (Hebrew: שיר השירים זוטא) is a midrash, or, rather, homiletic commentary, on Canticles; referred to in the various Yalḳuṭim and by the ancient Biblical commentators as "Midrash Shir ha-Shirim," or "Agadat Shir ha-Shirim." The De Rossi Manuscript No. 541, at Parma, was discovered by S. Buber to contain, among other things, midrashim on four of the five "megillot": Canticles, Book of Ruth, Lamentations, and Ecclesiastes; these he published (Berlin, 1894) under the title of "Midrash Zuṭa," to distinguish them from the "Midrash Rabbah." At the same time the midrash to Canticles only was published by S. Schechter, under the title "Agadat Shir ha-Shirim" (J.Q.R. vi.-viii; reprinted, Cambridge, 1896). Shir ha-Shirim Zuṭa, or Agadat Shir ha-Shirim, does not at all resemble Shir ha-Shirim Rabbah, or Midrash Ḥazita. The former is an uneven homiletic commentary on the whole text, and does not contain any proems; some verses are treated at length, while others are dismissed very briefly, sometimes only one word being discussed. Although the two collections contain a few parallels, the Shir ha-Shirim Rabbah does not contain those numerous haggadot which especially distinguish the second collection. In this latter they occur in the first verse of the first chapter, in the fourth verse of the same chapter, in the fifth verse of the same chapter (a long homily on charity), and in verses 2 and 6 of the fifth chapter (Messianic interpretations). The Messianic haggadot may be derived from the Pirḳe Rabbi Eli'ezer; the name of R. Eleazar (or Eliezer) quoted in the part on Cant. v. 2, as well as the ascription of a Messianic apocalypse to Simeon b. Sheṭah, is in support of this supposition. Other passages are found in the Babylonian Talmud, the Pesiḳtot, the Midrash Rabbot, the Mekilta, and the Abot de-Rabbi Natan. Agadat Shir ha-Shirim is mainly quoted by Simeon Ḳara, in his Yalḳuṭ Shim'oni, and by Machir b. Abba Mari, in his Yalḳuṭ ha-Makiri. The former used this midrash as a basis for his Yalḳuṭ on Canticles, but he quotes it also in his Yalḳuṭ on the other Biblical books. The name "Pesiḳta Rabbati" has been applied, in the Yalḳuṭ, to the Shir ha-Shirim Rabbah (called sometimes Midrash Ḥazita), while this midrash is always referred to as "Midrash Shir ha-Shirim." Simeon Ḳara may have applied this name to the Shir ha-Shirim Rabbah because the two works were bound together; on the other hand, the occurrence of the name may be due to an error of the copyist. This midrash is quoted in the Yalḳuṭ, as has been said above, in reference to other books (e.g., Lev. 475; Josh. 23; Isa. 288; et al.). It was frequently used also by Machir b. Abba Mari, who quotes it nineteen times under the title of "Haggadat Shir ha-Shirim," in his Yalḳuṭ ha-Makiri, on Book of Isaiah alone (published by I. Spira, Berlin, 1893). It is quoted also by other ancient authorities. Judah b. Barzilai, in his commentary on the Sefer Yeẓirah (p. 128, Berlin, 1885), refers to it as "Agadta Shir ha-Shirim," and quotes it in regard to the seventy eulogistic names given by God to People of Israel. Further, Naḥmanides (in Torat ha-Adam, p. 102c) cites it as "Midrash Shir ha-Shirim"; so does his pupil (teacher?) Azriel, in the commentary on Canticles generally ascribed to Naḥmanides himself; Abraham, son of Maimonides (see A. Neubauer, Ḳobeẓ 'Al Yad, iv. 63, Berlin, 1888), calls it "Agadat Shir ha-Shirim"; Recanati, in his commentary on the Pentateuch (on Beha'aloteka), cites the same passage quoted by Judah b. Barzilai. It may be added that passages of this midrash are found in Eleazar b. Tobiah's Leḳaḥ Ṭob and Isaac ibn Sahulah's Mashal ha-Ḳadmoni. Although these do not mention the name of this midrash, S. Schechter supposes that they probably used ancient homiletic commentaries, among others the Agadat Shir ha-Shirim. S. Buber supposes that this midrash has been shortened by the copyists, for R. Hillel, in his commentary on Sifre (see Friedmann, notes to Sifre, Num. 139), quotes from a Midrash Shir ha-Shirim a passage which is found neither in the Shir ha-Shirim Rabbah nor in the Shir ha-Shirim Zuṭa. Nor is the passage quoted from the Midrash Shir ha-Shirim by Menahem Zioni (Ẓiyyuni, p. 57c, Cremona, 1581) found in this midrash. Schechter endeavors to prove that the payyeṭan (liturgical poet) Solomon b. Judah ha-Babli, of the tenth century, had this midrash before him, and wove several passages from it into his piyyuṭim. Accepting this theory, Schechter thinks that it was composed not later than the middle of the 10th century; he likewise points out resemblances to the various Messianic and eschatological midrashim published by A. Jellinek (B. H. vols. i.-vi. ), and especially to the Pereḳ R. Yoshiyahu ("B. H." vi. 112 et seq. ), and holds that a date still earlier might be ascribed to this midrash, namely, the first half of the ninth century. But considering that the Pirḳe Rabbi Eli'ezer, which was composed about the middle of the ninth century, is one of the sources of the Agadat Shir ha-Shirim, so early a date must be rejected. 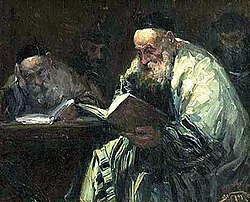 S. Schechter, Aggadat Shir ha-Shirim, Cambridge, 1896. This article incorporates text from a publication now in the public domain: Singer, Isidore; et al., eds. (1901–1906). "Shir ha-Shirim Zuta". The Jewish Encyclopedia. New York: Funk & Wagnalls. This page was last edited on 2 July 2015, at 06:39 (UTC).